Blimey, the Souls series sure has come a long way since the days of Demon’s Souls, hasn’t it? Bandai Namco has announced today that Dark Souls III is now officially the fastest-selling title ever for both them and developer From Software, undoubtedly cementing the series’ popularity and legacy for years to come. It’s hard to believe that us Westerners almost never even had the chance to play the game that started it all – Demon’s Souls was originally only going to be released in Japan until publisher Atlus decided to publish it in North America and Europe. But here we are several releases later, and we’re all undoubtedly glad that the series gained the popularity that it did in the early days. 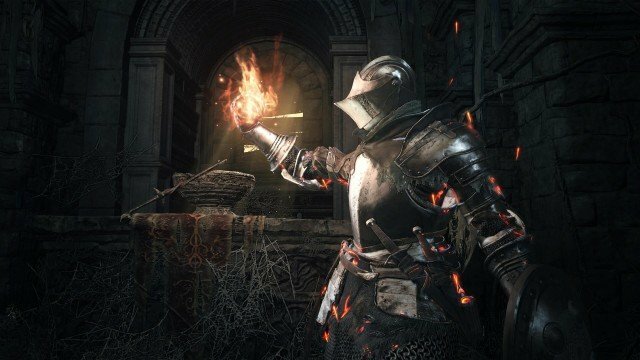 Bandai Namco hasn’t released any specific sales numbers just yet, but says that Dark Souls III recorded “incredibly strong” first-week sales for the company, having clinched the top spot (a first for any game in the series) of the charts in the UK. If you’ve already conquered Dark Souls III and have been left wanting more, you’re in luck – Bandai Namco said last week that the first DLC add-on for the game will release later this year, and include new bosses, NPCs, areas and enemies for you be killed by all over again. It also emerged earlier today that Dark Souls III has sold decisively more physical copies on PlayStation 4 than any other platform, accounting for 71% of total sales. How are you enjoying your time in Lothric so far? Let us know in the comments below.